Noori is a rock band from Lahore, Punjab, Pakistan, formed in 1996. The group was formed by songwriter, lead vocalist and guitarist, Ali Noor, along with his younger brother Ali Hamza, who were soon joined by bassist Muhammad Ali Jafri and drummer Salman Albert. Since the inception of the band, there had been many changes in the line-up the only consistent members being, brothers, Ali Noor and Ali Hamza. 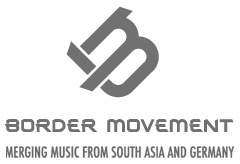 The band are considered as one of the pioneering forces behind what is dubbed at the “21st Century pop revolution of Pakistan”.